Regulate immune response in allergy conditions. Strong antioxidants to support the body's defense, detoxification, and healthy cell functions. Supports the immune system and boosts energy. For good skin texture through regulating internal functions. Supports healthy blood pressure and heart functions. For heavy drinking and hangovers. Use to help maintain health cholesterol levels. Detoxifying remedy, ideal for everyday use. 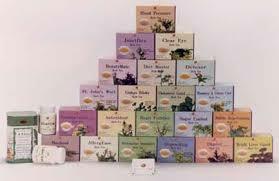 Nurtures the eye, soothes nervous system, and supports healthy eyesight. An expectorant to moisten and clear the lung and upper respiratory ducts and maintain healthy lung and bronchial functions. Use to remove environmental toxins. Supports weight management along with healthy diet and exercise. Helps digestion, disperses liver heat and food stagnancy, and helps maintain healthy cholesterol level. Used in Chinese medicine for maintaining normal gynecological functions/female hormones. Use to moisten and cleanse intestines and to facilitate easy bowel movement. This herb tea is designed to increase female sexual response and sensitivity. Used to balance gastric acidity and soothe the stomach. Used to support detoxification and warm/ease the stomach. Used as a lung tonic, cardiotonic, and to support mental functions. Provides a wide range of general health benefits. Supports healthy voice and respiratory system. Supports healthy hair growth and fends off premature greying. Use to remove heat and maintain normal nasal and respiratory functions. It is an ideal drink for cold and flu season. For headaches and migraines. Has special effects on headache caused by improper air conditioning. Use to invigorate blood supply and circulation, nurture the blood and maintain normal heart functions. Chinese medicine uses their anti-pyretic, microbal inhibiting, tranquilizing, irritability relieving properties to maintain healthy skin. Use to maintain normal joint functions, to improve blood circulation in the limbs, and promote natural healing. Use as a diuretic and to maintain healthy kidney functions. Use to nourish the Yin, maintain normal breast structure and consistency, remove stagnancy and heat, and to maintain healthy mammary and uterus functions. Supports the immune system and increases stamina and endurance in sexual functions. Use them to promote new cell growth, tonify kidney yang, maintain cholesterol level and slow down the aging process. It is an ideal drink for midlife changes. Pacifies the nervous system and nourishes the brain. Use to maintain normal cardiovascular, urological, neurological and sexual functions and for general immunity, longevity and sharp brain power. Supporting respiratory cleaning, soothes the throat, and promotes correction of addictive behavior. This tea is detoxifying, antitussive, expectorant and liver protectant. An excellent tonic for liver and lung, vitality and immunity support. Used to replenish energy, enhance stamina and help relax. Use for maintaining normal blood sugar and blood fat level, urine sugar level and facilitating easy bowel movement. Use to remove breath odor, refresh the mouth and enhance mental alertness.